It’s 10pm by the time we set out in the speedboat, and the sun is still reflecting off the glass-like surface of the Råne River. Jonas Gejke is at the boat’s helm, navigating cautiously through the shallows en route to deeper water. The grizzled safari guide eventually cuts the engine and, surveying the river floor, gives the nod for his first passenger to jump in. Gejke tosses his passenger a rope that’s dangling from the boat’s stern. Turning back, he grins and hits hard on the engine, its guttural roar leaving a struggling skier in its wake—and prompting a chorus of shrieks, whistles, and laughter from everyone on board. Our group is based at the Aurora Safari Camp, a four-tent-and-one-toilet outpost on the shores of the Råne in Swedish Lapland. Gejke and his business partner, the professional photographer Fredrik Broman, run the camp as part of their Aurora Safaris Sweden, which offers year-round adventures in the wilderness north of Luleå. In summer months their guests hike, fish, kayak, and otherwise enjoy the 20-some hours of daily sunlight. In winter-high season in Swedish Lapland-they brave the bitter cold on snowmobiles, skis, and dogsleds, and spend the long nights angling for views of the aurora borealis. In this land of extremes, Gejke is a moderating force. Barrel-chested and grey-bearded, he looks every bit the safari guide: problem solver, survivor, people protector-the kind of person you want around when you’re in the middle of nowhere. His professional pedigree supports such confidence, anchored by his more than two decades running a safari business in Kenya. But it’s here, in his homeland’s far north, where he sees a true frontier. 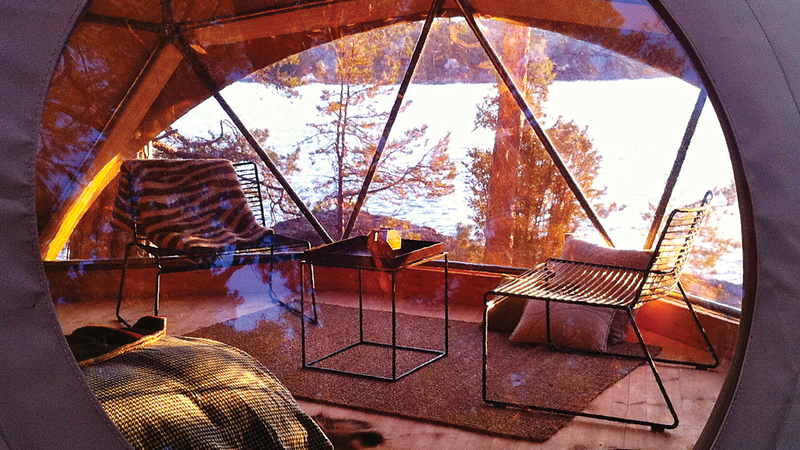 Gejke and Broman aren’t the only ones who see an up-and-coming safari destination in Sweden. From the northern wilds to the Stockholm Archipelago, modern-day prospectors are mimicking the classic African adventures in an only-in-Sweden style. 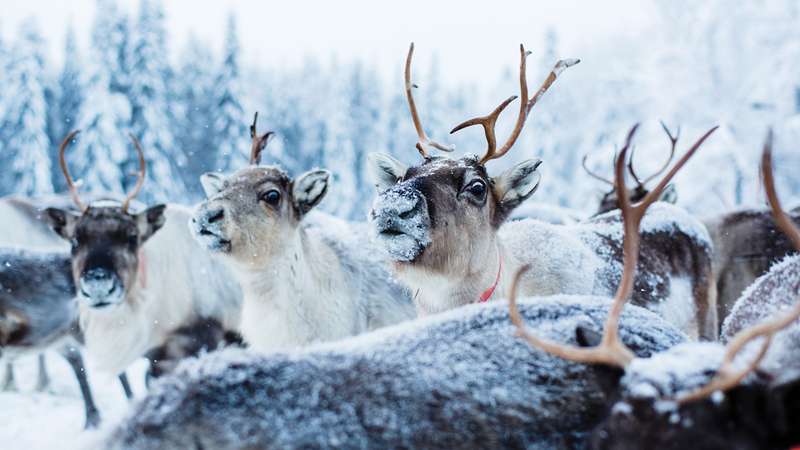 Unlike in much of sub-Saharan Africa, where the animals are the main attraction on safari, in Sweden it’s the offbeat experiences, seasonal severity, and opportunities for pure, unadulterated fun that draw curious travellers. Skewing more summer camp than extreme sport, our evening adventure with Aurora Safaris started on the camp’s floating sauna, where Gejke was busy doing everything from baiting our fishing lines to setting out a spread of moose- jerky and reindeer-sausage appetisers. Once we’re on the boat, our outbursts fill the empty river valley, echoing off the dense stands of pines that rise from either shore. Gradually, however, the sun dips below the horizon, our skiing session winds down, and we return to camp in the all-consuming silence of Swedish Lapland. “Most people in Sweden have no concept of what luxury is and what the luxury customer expects,” says Marina Safonova, owner of the Scandinavian tour company Nordic Luxury. 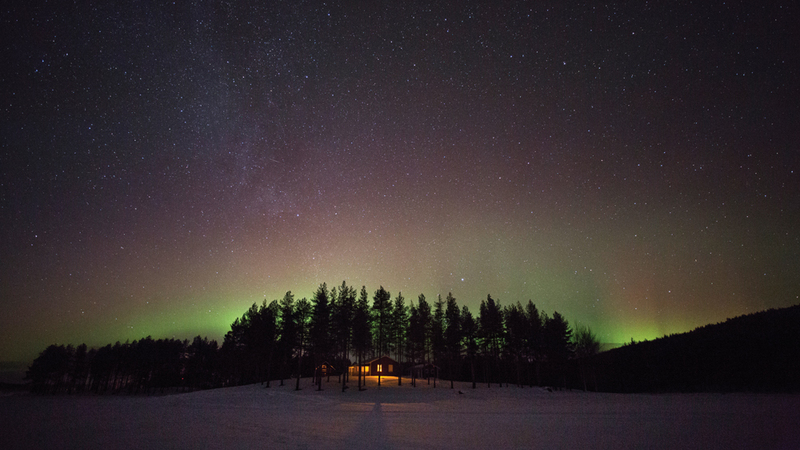 “The farther north you go, you can have untouched wilderness all to yourself, but there are no luxury hotels.” Sweden’s lack of five-star options is not limited to the north—even Stockholm is devoid of marquee international-brand hotels. But the country’s nonconformity is also one of its charms. 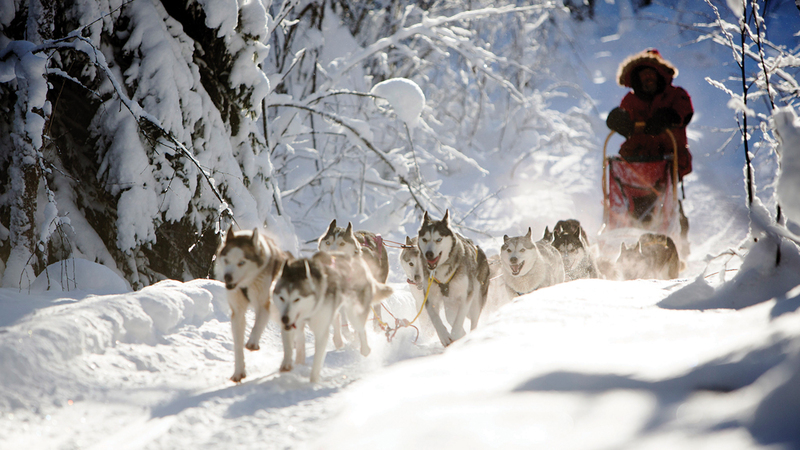 An adventure through Sweden feels truly Swedish. Rather than standardise your experience, the locals just do what they do normally and hope you like it (even if they sometimes seem like they don’t care if you do). “I share my lifestyle with people who come here, and I get to live in the middle of all this,” says Gejke. “And that’s really what the destination is about. There’s nothing fake about it.” Torkild Berglund and Kristina Bonde live in the middle of the Stockholm Archipelago, about an hour’s speedboat ride from the Swedish capital. Across a narrow channel from their home, the husband-and-wife team offer their own take on a Swedish safari lodge—and share their own version of the local lifestyle. That hardship includes shared bathrooms (one each for two sets of four tents) and a do-it-yourself service mentality. But the magic of the Island Lodge lies in its simplicity. The island is more or less yours. (It’s available as either a buyout or a split, with two groups taking the two sides of the camp privately.) Its geodesic-dome tents, which are outfitted with reindeer-skin rugs and wood-burning stoves, are set just off a boulder-strewn shore, where you can sunbathe, swim, or fish for perch from the rocks. And a floating sauna deck— apparently a prerequisite for Swedish safari lodges—offers grab-and-go kayaks and paddleboards, and a jumping-off point for adventures in the archipelago. My adventures were mostly confined to the island itself, with Berglund bringing me the occasional beer while I swam, paddleboarded, and fished off the sauna deck. At one point he pulled up in his rigid inflatable boat, offering to take me to the other side of the island. A few minutes into our tour, he convinced me to swim to shore, scale a 30-foot cliff, and leap off. After helping us get settled into our tepee-style tents, each with three simple beds surrounding a wood-burning heater, our guide bids us farewell. He promises to return early the next morning to make coffee and breakfast (and says that if this were winter, he would definitely not be leaving us to fend for ourselves). For now, however, he’s jumping in his boat and heading home to his family. Africa has the lion, leopard, rhino, elephant, and buffalo. In Sweden, however, the concept of safari-a term derived from the Arabic and Swahili words for “journey”— is more about the seasons and experiences than the species. 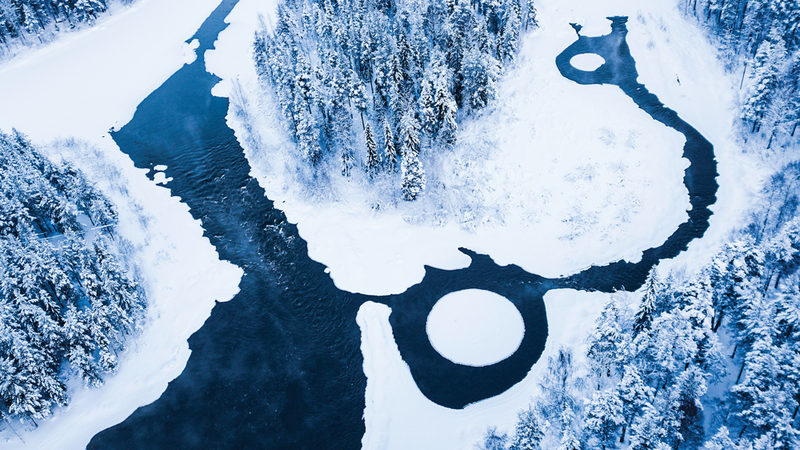 Following are the five big-ticket attractions in Swedish Lapland, according to Jonas Gejke, a native Swede and 24-year Kenya resident who’s led countless safaris in both countries.